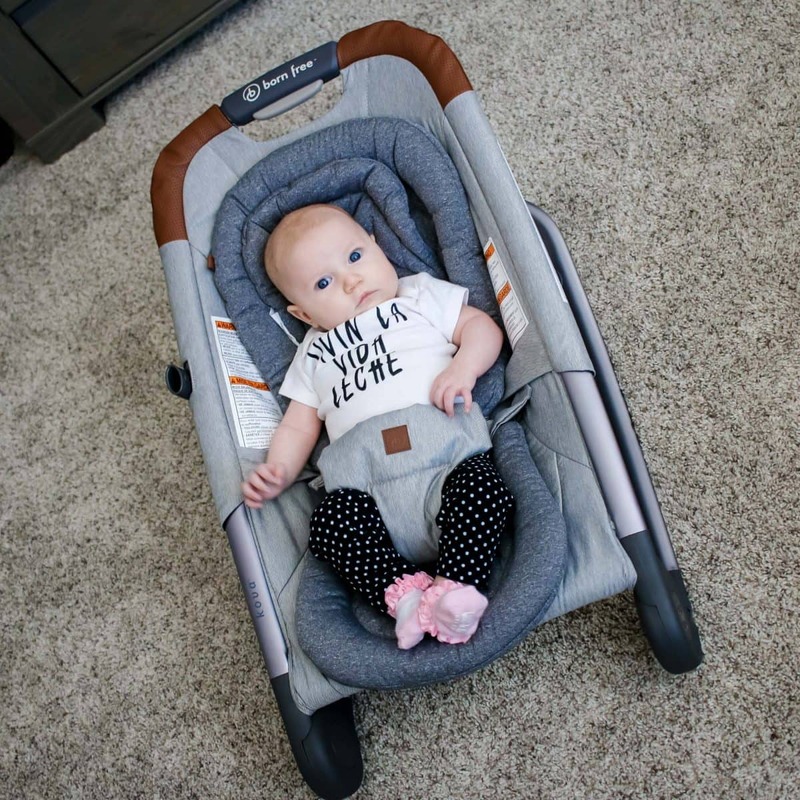 New babies are a handful, but finding the best baby bouncer doesn’t have to be. Between living in state of sleep deprivation and being suddenly fully responsible for another human being, parenting a newborn is stressful. When you are at your wits end with a crying baby the last thing you need is complicated baby gear that you can’t figure out how to turn on. When it comes to newborns the best baby bouncer is one you don’t have to fuss over. 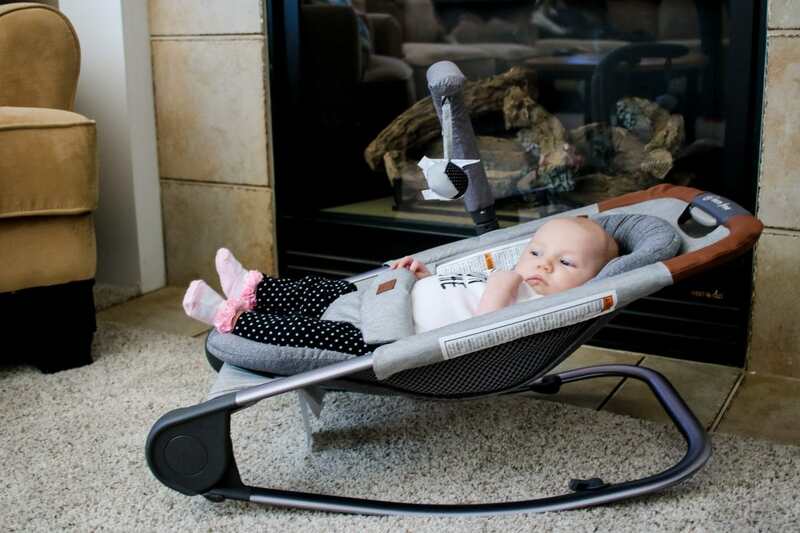 The kova™ baby bouncer from born free™ fits the bill perfectly. 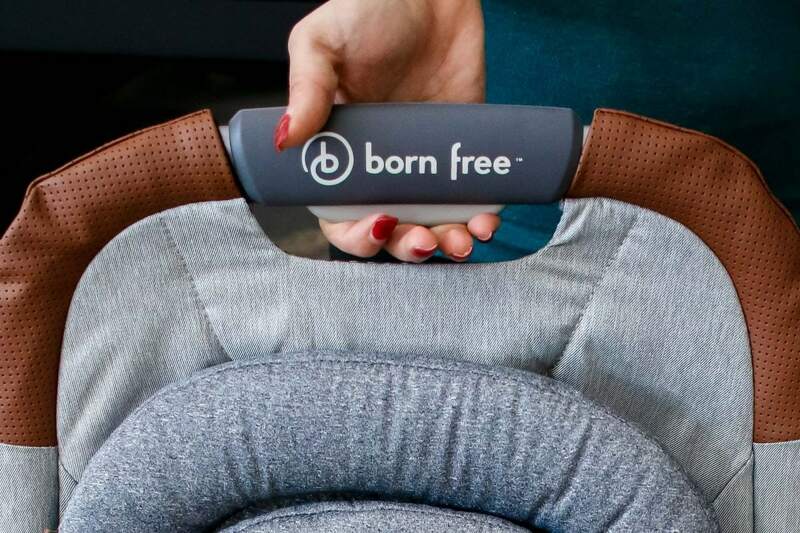 Newly launched, born free™ is a brand new company making parents lives just that much easier. At born free™ they believe that being a parent doesn’t mean you have to leave behind your style or sense of self. All of their products fit directly into that mindset. 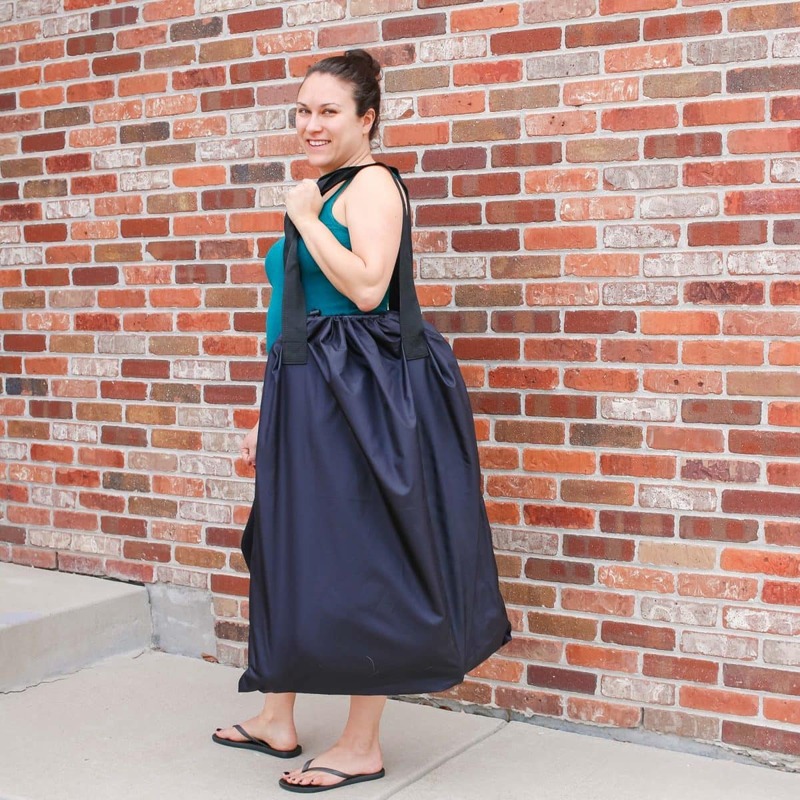 Each item in the new born free™ line is functional, fashionable and designed to fit seamlessly into your life as a parent. For most babies, a bouncer is one of the first toys they interact with. In bouncer setting baby’s kicks will set off a comforting up and down movement. This helps newborns develop leg muscles that will be used later when crawling. With a removable toy bar, the kova™ baby bouncer offers an additional level of stimulation for your new addition. Black and white plush toys are eye catching and create a soft scrunching and rattle sound when in motion. This simple yet perfect addition is ideal for young children. When it’s time for baby to come out of the bouncer the bar can be removed with just a click. This means nothing will keep you from picking up your child with ease. 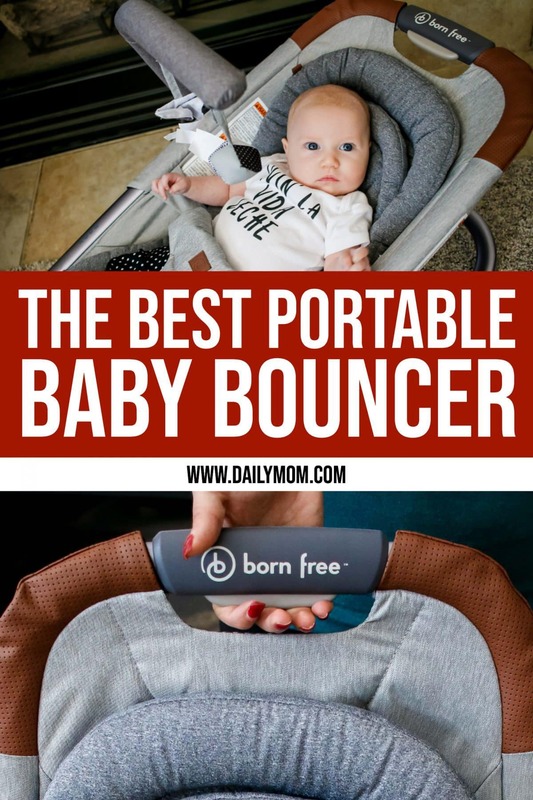 Any mom knows that the best baby bouncer is the one that keeps her the happiest. 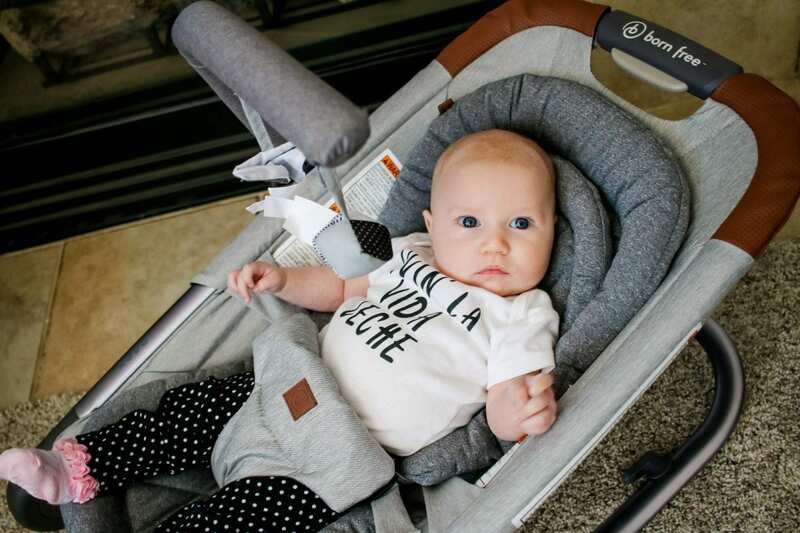 With fully washable fabrics, the kova™ baby bouncer is truly a recipe for a happy family. High quality fabrics are comfortable against baby’s soft skin while being equally easy to toss in the wash if spit up happens (and it will). Dark grey styling and leather highlights elevate the kova™ from baby gear to a functional and stylish part of your home. Baby products don’t have to be bright painful colors and distract from your home decor. The kova™ (as well as the entire new line of born free™ items) showcases that having a baby doesn’t mean you have to give up on a love for design or simplicity.